The most wonderful time of the year is now on our midst bringing a message of joy and hope to each and every one of us. As we commemorate the solemn arrival of the Emmanuel in our midst there’s one invitation that we need to be aware of in today’s feast and consider it as our main concern for our lives, i.e. LOVE. Christmas is all about LOVE. If there’s no LOVE, there will be no Christmas. The Birth of Our Lord Jesus Christ is the best and the greatest manifestation what Love is all about. So we need to ask ourselves this question as we celebrate today the Birth of our Lord; have we ever LOVE truly, deeply, and sincerely? Have we ever expressed love that our Lord Jesus taught to us? The Story of Jesus’ Birth is not a source for entertaining ourselves with lavish enjoyment and celebration; rather it’s all about going back on our main calling to LOVE despite the fact that we are unworthy and broken. So, the invitation of Christmas for all of us is TO GIVE LOVE. Jackson 5 popularized this phrase into a song which manifests what it means TO GIVE LOVE on the Birth of our Lord. Indeed, Christmas calls each and every one of us not just TO GIVE LOVE on the day of Christmas; rather we must never get tired of doing this invitation always and every day. As we now enjoying and embracing the Spirit of Christmas; let us never forget that the real essence of Christmas is not the sparkling lights that surrounds us, is not Santa Claus, is not the Christmas trees, is not the gifts, is not the food, and is not the parties and celebrations, but LOVE. It’s only LOVE that could manifest the real essence of Christmas in our hearts. As Christmas is fast-approaching, we cannot but speak about our wishes and dreams for Christmas. Some would like to receive something new like gadgets, clothing, shoes, accessories, etc. 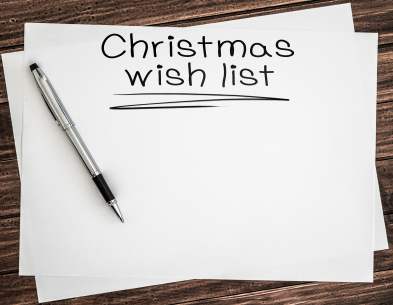 Others would like just to receive a good amount of money and keep it in order that they may be able to use it for procuring and purchasing what is indicated on their wish lists. Now that we are preoccupied of thinking, obtaining, and wishing for good gifts this Christmas, there’s one thing that we need to consider as we joyfully wait for the coming of the Lord, i.e. our own wish list for Jesus. What is our gift for Jesus? As I reflect upon this question today I feel so uneasy and sad. For the past Christmases I’ve failed to give my gift to Jesus, i.e. myself. I easily lose focus on what is necessary and get preoccupied with secondary entities in life. Every Christmas I always say, “Yes Lord! I will change my old self into a new self” but even as I put into actions the promises I made to God during Christmas, I fail to make it. Now Christmas is near and it’s the same old story as I wait for the coming of Baby Jesus. But, as I ease myself with the uneasiness and sadness that I feel, I realize that God is still patient with me. Yes, I always fail Him by my inability to show that I am changing and serious on His callings, reminders, and invitations. But for Him it is not a big deal as long as He sees me persevering, hoping, and eagerly patient on welcoming and befriending the changes and newness in my life. And for Him, that’s already a great gift which comes from my brokenness and shortcomings. While that we are excited to receive gifts this Christmas, let us not forget our gift/s for the Child Jesus. For me, my simple gift for the Child Jesus is the same: myself. Sounds ordinary yet significant. Why? Because I believe giving ourselves as gift for the Child Jesus this Christmas is not about bragging about the best gift that we could give to Him. Rather, it is all about loving authentically. This is what Christmas is all about: selfless love. 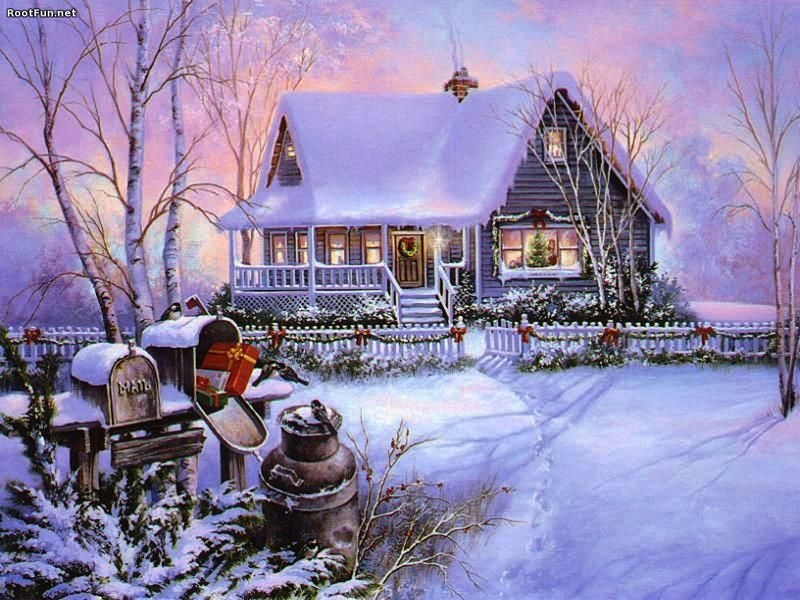 Whenever we light the fire of love in every heart that is experiencing the darkness of winter, it’s Christmas. Let us always remember, Christmas originated from the Manger of Christ, and that’s a great manifestation of love for each and every one of us who are waiting for His coming. It’s so nice to celebrate Christmas with our families, friends, acquaintances, and even our loved ones. They serve as the reason of what it means to have a complete Christmas because it is really different to celebrate Christmas together with those whom you loved most. It is already rooted in our nerves to see to it that our presence is connecting with them by way of sharing our smiles, laughters, and cheers. Our Christmas will never be happy and complete without them even though there’s no giving of gifts and the food is simple. It’s a sad reality on my part that I am not with my family this coming Christmas. I miss them so much especially as Christmas is fast-approaching. It’s a different joy when I am with them celebrating the birth of Jesus. Now, I am too far to them. I cannot but be nostalgic about my previous experiences of celebrating Christmas with them. Henceforth, it’s really a delightful experience to celebrate Christmas with our families, and in this pleasing scenario it adds a good reputation for Christmas as the most wonderful time of the year. It’s really an unacceptable reality that I am not with them this coming yuletide season. It’s really a different story when you’re with them in person than greeting them Merry Christmas and saying your best wishes to them with a smile in Facebook, Skype, in chat, SMS, or call. Although it is a sad reality, I need to be strong and steadfast with my nostalgic tendencies especially now Christmas is near. In this experience I realize that there’s a time into our lives that to be with our families, friends, acquaintances, and even our loved ones is not permanent and forever. There’s really a moment for our lives that we need to stand on our own for the sake of a greater good not just for ourselves but also for others. Yes, it’s natural that we miss them. I too cannot disregard the fact that I miss them and I long for them. But, I really need to accept the fact that in life I should learned the art of standing at my own feet. Although it’s hard to accept this, I should never let my emotions be moved by it because life sooner or later will not be anymore always between Me and My family, friends, relatives, and acquaintances, but between Me and God. Again, as I prepare myself with the coming of Jesus, I learned new lesson today, i.e. eventhough Life will never be the same as before, memories will continue to help us to discover that there are things in life which we need to cherish and give importance before it loses. 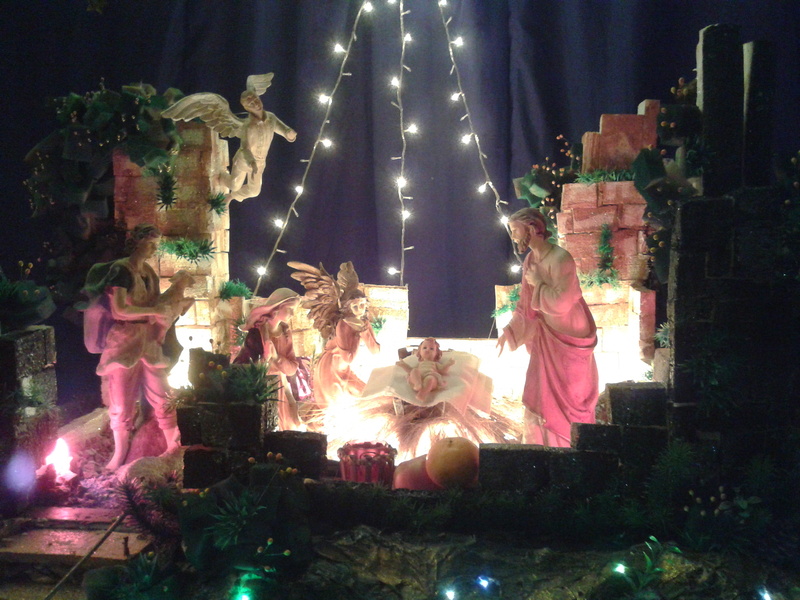 Eventhough I am not with my family this Christmas, I could still say that my Christmas is complete because they taught the real essence of Christmas, i.e. LOVE, CONCERN, and GRATITUDE. I am very thankful to them that they taught me these three magical words into my life. The gospel for today is really striking my life especially in my vocation journey. To be honest, it’s really hard to say your ‘yes’ to an opportunity or to a call especially if it is God’s will. It’s unavoidable to cling with your own plans or wills because you want to achieve something in life, you want to be happy, and you know your shortcomings and limitations. But, it’s not the case when we speak about following the will of God. To be honest, to follow the will is really challenging because you really need to deny your plans, wills, aspirations, and even dreams that you desire most. What made Mary to say her ‘yes’ to God’s call to be the mother of the Messiah? As I reflected upon the gospel, my thoughts were captivated upon the words of Angel Gabriel to Mary; “Do not be afraid…for nothing will be impossible for God.” When I encounter this passage in the gospel for today, my eyes shed in tears. For many years that I am journeying together with my identity as I religious there’s one thing that I can’t still overcome, i.e. fear. Fear affected me greatly to trust with God’s providential care as I follow Him. Yes, nothing is impossible for God, but how will I trust in these words of Him if I am afraid to dedicate and commit myself firmly to Him? Why is it easy for Mary to say her ‘yes’ to God’s invitation, but for me it’s hard? 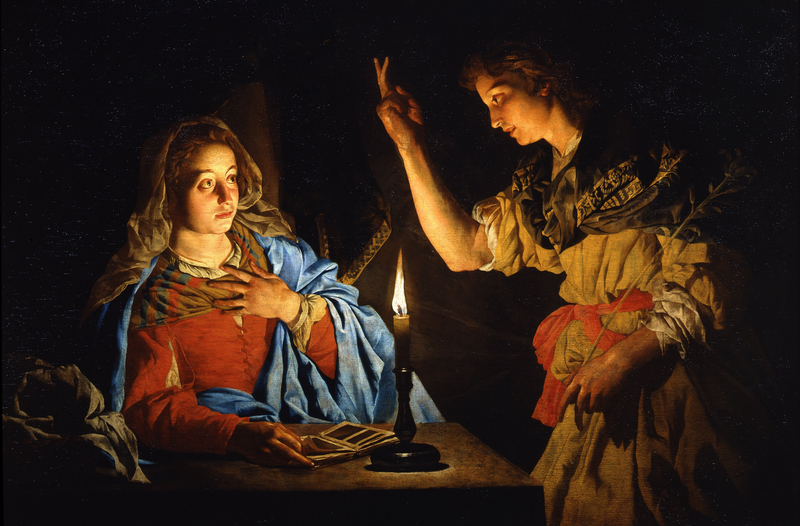 Really, the Annunciation story is not just a story itself from the Bible. It serves as a model for me on how I may be able to trust in the Lord’s call without any hesitation in my heart. Like Mary, I really need to check my trust with the Lord and ask this question to myself; what’s going on in me? Why is it hard to trust the One that is gracious, merciful, and just. Mary’s vocation story is really a challenge for my vocation journey. Once God call you for a great purpose in life there has to be no if’s and but’s. It’s a matter of firm faith, and to have a firm faith takes a lot of dying with my own self-interests. As Christmas is fast-approaching I am so glad today that I encounter once again Mary’s vocation story. It simply conveys to me a message that as I am really doing my best to follow the footsteps of Christ I need really to cast out all my fears and to say this deeply within my heart: “I am a maidservant of the Lord, may it done to me according to His will”. Why Jesus was born in the manger? I always encounter this question whenever I gaze and reflect upon the manger of Christ. If He is the Son of God, why He was born in the manger? Does God destine it for Him? Actually, if I will be asked I don’t know the answer. I don’t know what’s in the mind and in the will of God for Jesus, but the only thing that I perceive in this episode of Jesus’ life is its message for me. 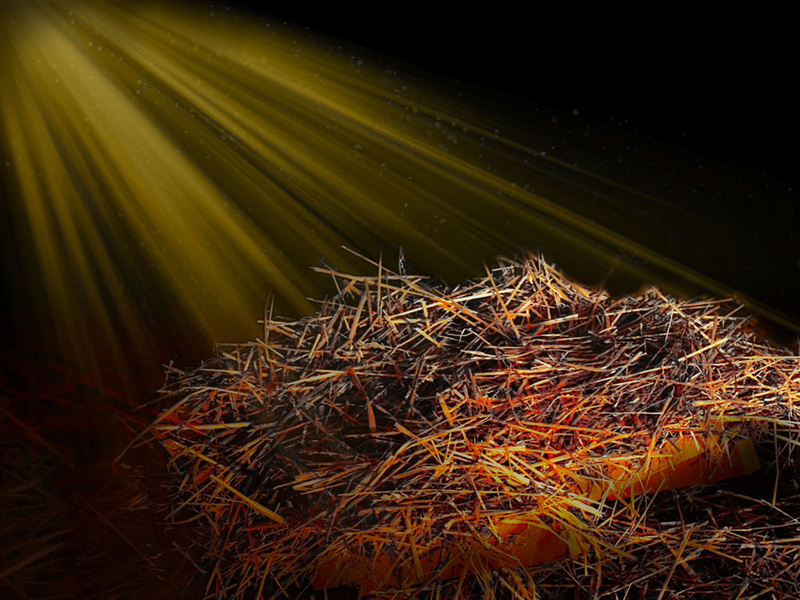 The manger of Christ invites me to consider the most significant thing in life, i.e. humility. Jesus was born in the manger in order to show to me and to all of us what it means to be humble like Him. He is the Son of God, but He chose to be ‘like us’. Simply put, humility of Jesus is not all about prestige, but selfless love; not all about pride, but compassion; and not all about power, but mercy. I am truly affected by this insight. To be honest, I am always at the lost whenever I rendered my kindness and service to others. To brag my achievements in life sometimes is my uncontrolled tendencies once I converse with people. To be recognized is one of my desires in life as I struggle to be good and pleasing, but this is not authentic life. Authentic life is all about humility, and that’s what I need to ponder. As I revisit my past experiences, I realized that I lost a lot of true friendships and trusts not because of indifference but pride. Pride is my mortal enemy, and this is what the manger of Christ would like to remind me, that pride will never be always beneficial in true relationships. As the Christmas is fast approaching, another lesson in life is revealed to me again by Christ, i.e. starting prioritizing Him as the model of true humility. Christmas may be described by its colors, carols, garlands, and symbols, but the real Christmas is not on these things, but is in the manger whereby the Child Jesus would like to tell us; ‘learn from me for I am meek and humble of heart’; and that’s Christmas for Him. When December strikes the calendar Santa Claus becomes the center of fascination of those who long for his gifts especially the children. Before sleeping, little children will always pray that Santa Claus may be able to pass on their windows or chimneys in order to place their desired gifts below their Christmas trees at night before Christmas. Ho ho ho! That’s it! This is his signature voice that trends always when Christmas is near. Together with his favorite reindeer named Rudolf and the rest of the reindeers and elves, they are considered as the best personalities and personages of Christmas. But, have you will be going to believe in me that there’s a person greater than Santa Claus? Actually, there’s really a person greater than Santa Claus and He is the reason why there’s Christmas. He is no other than Jesus Christ, our Savior, and our Hope. For me, He is the real Santa Claus; why? 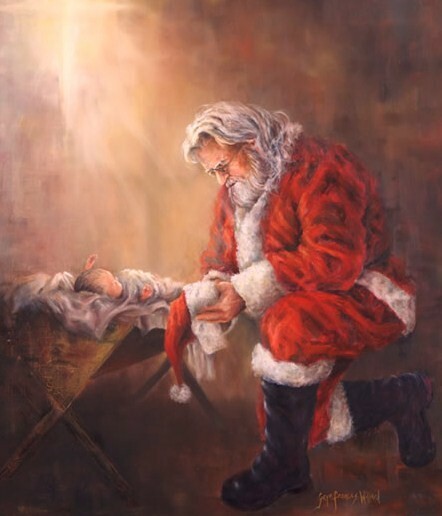 Just like Santa Claus, He brought the Gift when He was born in the manger not just for few, but for all. That gift does not cease its value immediately. It is something everlasting, joyful, emancipating, and spirit-filled. The gift that He brought for our salvation is no other than His self. This is the reason why we celebrate Christmas. It’s not about the gifts, the food, the decoration, the party, and the music, but the message of hope and joy which the Child Jesus brought to us conveyed through the simplicity of the manger. So that’s why Christ was born in the manger in order for us to realize that Christmas is not also all about extravagant expending, but it’s all about reuniting, reconciling, and rerouting our hearts with Christ. It’s simplicity that must trend this coming Christmas because we could only know the real essence of Christmas if and only if we take to consider simplicity as our binoculars in gazing upon Christ unto our hearts. As we wait for Christmas, let us not be distracted by the colors and the alluring sounds; instead let us allow Christ to add colors and resounds into our hearts. Christmas will never be as colorful as the rainbow without the parol. 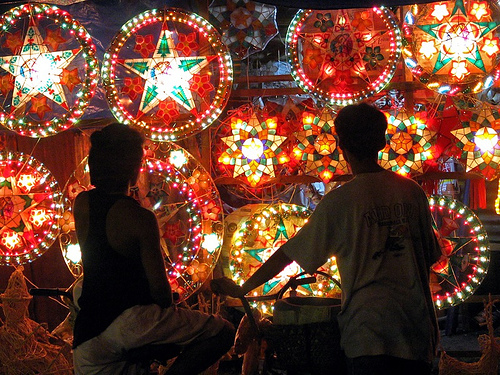 Parol (Christmas Lanterns) here in the Philippines symbolizes the real essence of Christmas for all of us, i.e. hope and everlasting joy. All of us are hoping for something which is good and prosperous this coming Christmas. So, we look up the sky praying to the Lord to guide us and shower us abundant blessings and graces in life. It’s the same thing when we look up the parol hanging on the trees or on top of our houses. Together with our gazes toward the parols are our aspirations and expectations for something upright and worthy in life. So that’s why our parols are star-shaped which represents the character of a Filipino, i.e. full of hope, firm in faith, and highly-spirited in principles and values despite the storms, misfortunes, shortcomings, and brokenness of life. The parol is very significant in my life. When I am down and weary, I just stare upon on our colorful parols here in the seminary, then it suddenly eases the burden of my problems. From this simple experience of mine about the uniqueness of the parol, it utters something that I should always take into consideration into my life, i.e. my faith in Christ who is to come. The coming of Christ is so near and the message of His coming is not all about fear and delusion, but joy and compassion. Just like the parol that gives joy and hope this Christmas, it’s the same with Christ who is to come. Why should I be fear in facing life’s trials and struggles if the dead-end of all these things is contentment and happiness in life? Why should I be bothered if hope is possible and promising for all seasons and out of seasons? Definitely, it takes a lot of faith. So, the parol is not just a simple decoration for Christmas, but it also disseminates a message for all of us, i.e. in Christ coming there will be no more tears to shed and no more pain to endure.